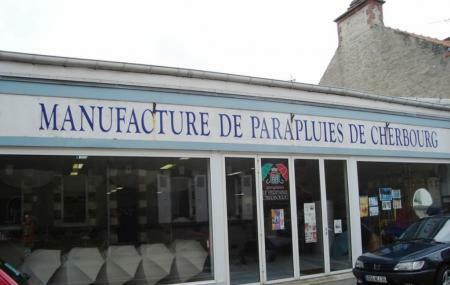 Find hotel near Manufacture Des Parapluie ..
Live tour and instructional videos are available at the site. How popular is Manufacture Des Parapluies De Cherbourg? People normally club together Eglise Saint-martin and Espace Loisirs De Collignon while planning their visit to Manufacture Des Parapluies De Cherbourg. A "museum" with identity issues, more like an expensive umbrella shop. Horrible temporary art exhibition is a lot bigger than the museum-part, and the so-called museum is a laughing matter. Very little info about umbrellas in general, just some egocentric nonsense about the family heritage of the umbrella founder - all in French of course. Spent in total 10 minutes of agony at the place. Do NOT visit if you want more than just a shop.